Homemade bourbon and Maraschino cherries are so much better than the red things that have passed for the moniker for generations. Don’t ever buy those nasty bright red things from the grocery store. The only thing those are good for is to put on sundaes for the kids. Even if you have discerning kids like mine, they still like those abominations usually called Maraschino cherries. I guess you can buy actual Maraschino cherries from some place like Amazon, or you can follow my advice and just make your own. It’s a lot cheaper, and they’re just as freaking good. To make ’em, use frozen cherries. 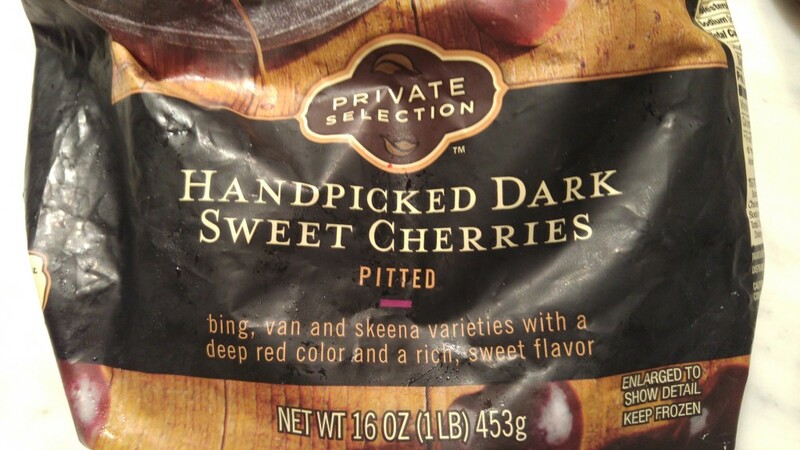 I like the large dark red cherries. Just make sure they’re not in some sugar bath or anything like that. Don’t worry, though. If they’re anything like the ones I got, they’re super sweet on their own. Frozen cherries are just fine, trust me. Just try to buy some good ones. I think these cost $4 or so. And there’s about two quarts in the bag. 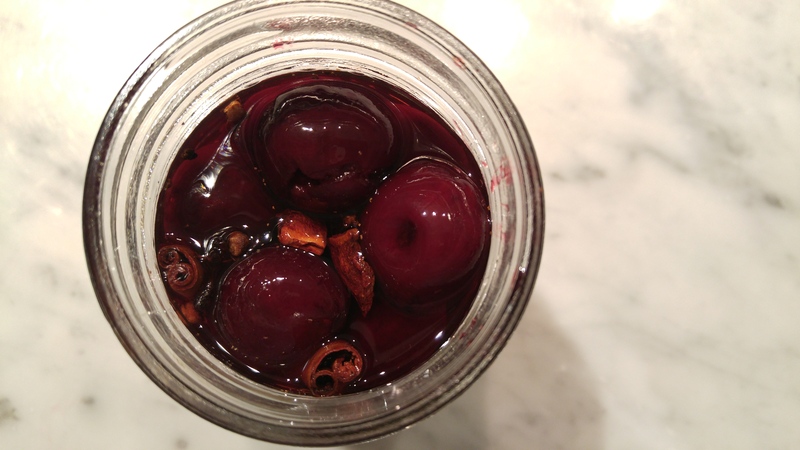 Fill up your jar with cherries, and then add two cinnamon sticks, four cloves, and two star anise. Then fill halfway with bourbon and the other half with Maraschino liqueur. Let it sit a few days and you have something worthy of a Manhattan. Me, if I don’t have any homemade ones, I’m not putting anything in my Manhattan. I would rather have nothing than one of those gross neon atomic bombs. And the real Maraschino ones are just too freaking expensive. These, they may cost about four dollar for a quart. And when you run out, you just fill it up with more cherries. Use the same liquid. It’s the power of DIY cherries!